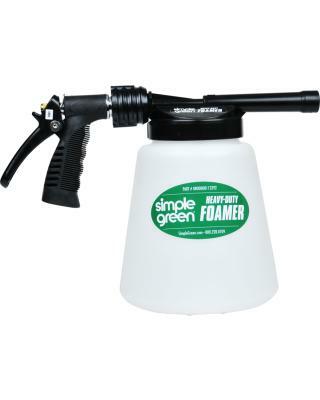 The Simple Green Multi-Dilution Foamer produces a thick foam that clings to hard-to-reach spaces. It provides an easy and efficient transition from cleaning and sanitizing to rinsing. Color coded metered inserts offers control over solution application. The foamer provides a powerful jet spray for large jobs and a precision stream for smaller applications. Produces a tick foam that clings to hard-to-reach spaces.